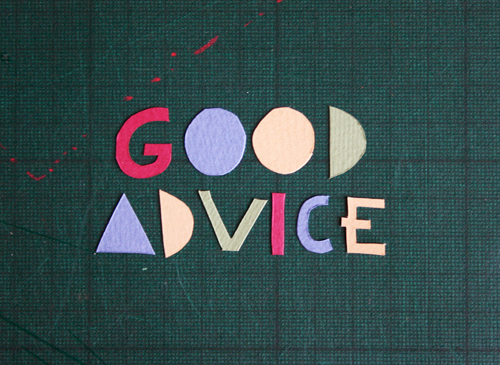 Home › Knowledge Hub › Top tips › What’s the best piece of career advice you’ve been given? We’ve all had moments of receiving valuable career advice from someone we respect, be it our manager, mentor, friend or family. I’m talking about one of those conversations which stick in your mind, get you thinking, steer you in a particular direction, make you see things differently. Sometimes it can be such great advice that you refer to it again and again over a long period of time. I asked four mentors from the CharityComms Mentoring Scheme to share some memorable advice they’ve received during their career. "A lot of the things I've learned through my career have come from observing other leaders and managers doing things that don't work, or more importantly, that I don't like – and from that I've learned what type of leader I am and aspire to be. In terms of personal advice, the most useful has also been the most consistent – from a variety of different mentors, coaches and line managers – and that is to think carefully about the impact you are trying to make and be conscious of how you come across to people. It is so easy to be wrapped up in your work, racing from one thing to another, you can forget about how you are perceived and the way in which your tone, your body language, your overall demeanour can affect those around you. This is a real weakness of mine, even though I spend a lot of my professional life, as a "comms person" telling other people to think about this! I know that my real effectiveness as a leader comes when I am reflective and when I empower others – and enough people that I respect have said this to me over the years that I am certain it is true!" "Long before I joined the voluntary sector I was the marketing manager for a private firm that manufactured paint and which owned over 100 DIY stores. My boss was the chief executive and part owner of that company. Part of my job was to make the promotion of white paint interesting and exciting – no mean feat. At first I took it as permission that I could be complacent or lazy in my planning, but I soon realised that it was the opposite. He meant it as encouragement to put a plan into action when it is ready and then improve on it once it is in the market place. I have passed on this advice to my own staff ever since. "Some of the best career advice I can think of came from my brother at the start of my career when I was complaining about a colleague at work who earned more than others who all did the essentially same job. He said to think about what this person had done to earn that extra money – by selling herself better or negotiating harder. That difference meant she'd earned that money and any of her colleagues could have done the same but hadn't. It shook up my thinking in a few ways – that a job is worth a fixed amount of money in the first place and that positioning yourself differently to your colleagues isn't necessarily a bad thing, indeed it might be the way forward for your career." If you want to do something really big, you can’t do it alone. You have to get people working with you by making it work for them – Mentor, Interbrand." Could you inspire others by sharing your knowledge and experience to help them progress in their career?